With the craze for Wonder Woman lately, do you ever think about who your heroes are? Think about it–who is the first person that comes to mind as your hero? Is it Wonder Woman? Is it Superman? Is it Spiderman, or Wolverine, or any of the other Marvel or DC superheroes? Did you seriously just answer some fictional superhero character? Think about the answer to “Who is your hero?” again. Who do you look up to? Who encourages you to be better every day? Who do you aspire to be? Still a fictional superhero? 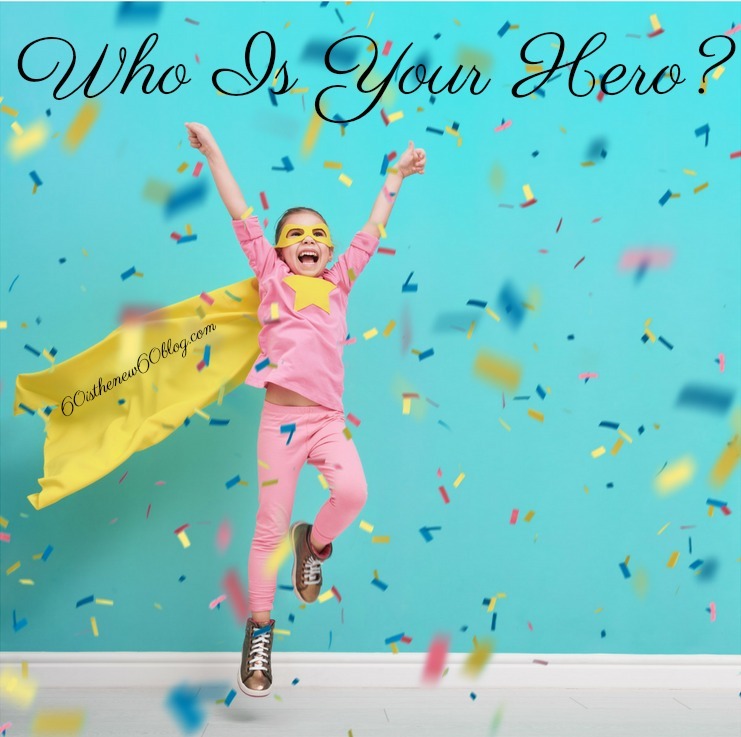 Your hero should be YOU! While having others around you to encourage you is truly a blessing, you are lucky to have them. You might have them today and you might not have them tomorrow. You need to learn again to be your own biggest cheerleader. There is nothing like watching a child who is proud of themselves making sure EVERYONE is aware of how awesome they are. When do we lose that? Why is it we decide to downplay our successes and find ways to come up with excuses that the success happened with no thanks to us. Have you ever responded to someone who tells you your outfit looks nice with some comment about how little you paid for it, how old it is, or the lower end store where you got it instead of thanking them and saying nothing more? Just stop it! 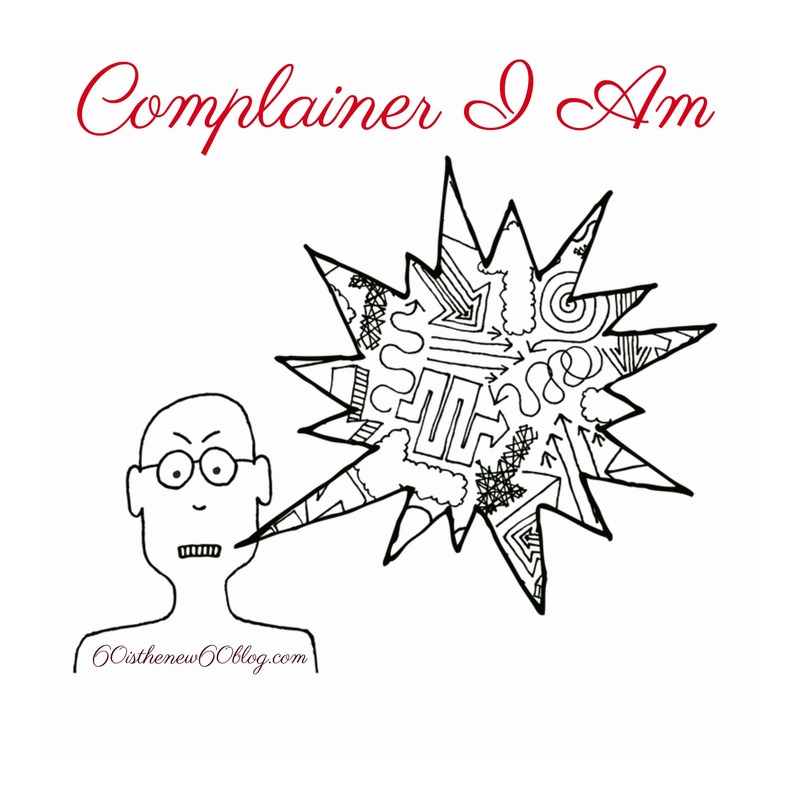 You are and have always had the opportunity to be your biggest cheerleader. There is a difference between being proud of yourself and being arrogant about it. Don’t be that arrogant person. But you should be proud of yourself for all the hard work you’ve done to make that particular event happen. When someone comments, just say “thank you.” Don’t give excuses or try to justify why it was successful that have nothing to do with you. If you did it, you worked hard on it, and it was successful, take the damn credit. And then fist pumps and a very loud “YES!” are totally in order. And maybe pompoms, or fireworks, or . . . This entry was posted in Cheerleader on June 20, 2017 by Kathy. I recently completed a 2 1/2 week trip to Europe. It was definitely as amazing as it sounds. But getting ready for the trip was not the most fun I’ve ever had. Trying to cram 2 1/2 weeks worth of stuff into a suitcase was a challenge to be sure. Plus, like I tell my friends, it takes a lot to make me look presentable. 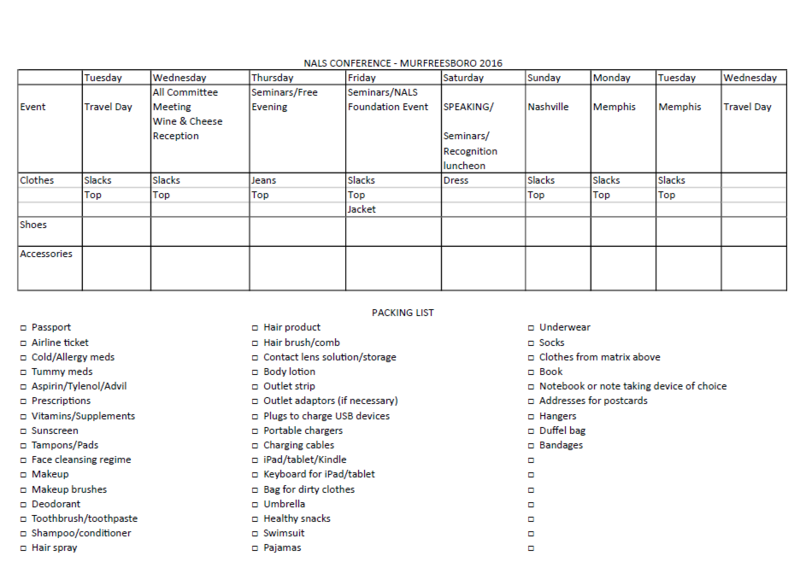 When I travel, and because I always manage to be packing at the last possible moment, I need lists or I forget things (one of the side effects of being 60). I need to know what is going on every day I am at conference to bring the appropriate clothes. Some things (like actually being a speaker) require a different wardrobe than attending seminars. A social or networking event requires a different wardrobe than an awards lunch or dinner. So this “event” area helps me make sure I’m OK in the “what I should wear” department. The clothes section can be (and usually is for me) much more detailed if I have specific pieces of clothing I want to wear on a specific day. The shoes section should help narrow them down so you don’t have to bring every pair you own. I said “should”! The accessories section is the same thing. If I have a statement piece that goes with a specific outfit, I list it there. The packing list portion is brand new. I used to have one on my phone, but somewhere along the way it disappeared. Outlet Strip – I’ve found that if I pack a 6 plug outlet strip, I can charge my phone, iPad, chargers, etc. in one place and only take one room plug. This helps specifically if you are sharing the room with another person or two who have to charge all those same things. Plugs to charge USB devices. While I usually remember to pack the charging cords, I don’t always have a place to plug the charging cord into the electrical outlet. This past trip, for the first time, I included one of those travel storage bags that you force the air out of so they are thinner and easier to pack. I put my dirty clothes in there and at least zipped it closed each time. It helped with the dirty clothes smell (especially with the glass of wine that was spilled on my jeans one day) and kept them separated. Something like this is what I used and will be using every time in the future. I included a foldable duffel bag since I knew I would end up with more stuff in my suitcase–which was just under the weight limit on the trip there so I knew I would exceed it on my way back. Since the overweight fee was the same as a second bag, I thought I could check the duffel if necessary. Well, it was necessary. I put all my dirty clothes (in the sealed bag) in the duffel and checked it so I had plenty of room for my souvenirs in my more secure suitcase. Speaking of souvenirs, in my first trip to Europe, I felt the need to bring something back for everyone I knew. My husband (and my budget) wasn’t happy about that and made me promise that I wouldn’t do it this time. And I didn’t. I did, however, have an agenda at each location. First, I have my whole life collected Christmas ornaments. I love putting my trees (yes, plural–that’s what happens when you collect ornaments for so many years) up so I can relive the story of each ornament. On my last trip to Europe, I knew I couldn’t be trusted with the glass ornaments so unless I absolutely positively love it and will be responsible for not breaking it, I started buying keychains. There is always a huge assortment, so I can choose one or two to tell my story of the location. And, more importantly, they pack very easily! Second, my daughter-in-law collects refrigerator magnets and wants them from anyone who travels (while I prefer my ornaments from places that I’ve actually been or that have a story, but that’s me being a little weird), so I collected lots of magnets for her and she was ecstatic. My personal favorite was from Florence and was a David statue with clothes you could add. Magnets are usually very small and most are unbreakable (two extra points for me!). Third, this year my son was collecting postcards for a friend who is using them to teach his daughters about geography over the summer. I’m all for anything that can be used to teach kids and keep them interested and postcards are even smaller and lighter–and, thus, easier to pack–than keychains and magnets, so he ended up with quite a selection. I actually keep a packing cube with my electronics which includes the outlet strip, extra charging cables, adapters for non-Apple accessories, plugs for charging cables into electric sockets, and extra chargers. I keep that packing cube with my travel stuff and just grab it when I’m packing. It isn’t expensive to buy extra charging cables and plugs, but it is so much more convenient for me to keep them together so I don’t have to go searching them down and hope I have enough while I’m gone. After several trips to the store at different destinations to replace what I’d forgotten, I finally put together a packing cube with hair products, combs, brushes, hairspray, travel dryer, and travel straight iron (and anything else I decide I need). It is an extra set of everything, but bought over time, it didn’t hurt me that much and now I don’t have to worry about forgetting something I need. I keep this with my other travel stuff. I keep a box in my closet with my travel stuff. This includes the packing cubes filled as indicated above, any travel adapters, a travel purse, anything else I need only for traveling. That way it is in one place and I don’t have to search high and low to find it when I’m packing at the last possible moment (yep–that’s me!). Hopefully this will help you have less stress with packing for your dream vacation. Did I forget something important from the list? Let me know by commenting below and I’ll add it. If you’d like to use the list yourself, check out the Files section of the website (http://60isthenew60blog.com/files/) and you can download it there. Note that this post includes affiliate links. Please know that I only endorse products that I actually use and love. If you click through any of the items listed and purchase them, I will receive a very small commission (at no cost to you). Thank you in advance! This entry was posted in Traveling on June 7, 2017 by Kathy.